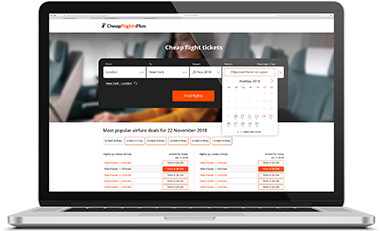 Flights by Delta Air Lines Inc.
Cheapflightsplus.com helps to find and book cheap airline tickets for domestic and international one-way and round-trip flights. We compare prices of plane tickets among different airlines and online travel agencies to find the best deals and discounted flights for you. With the help of our top-notch innovative flight finder you can easily narrow your search by departure and arrival time, airline, flight price, duration and by a number of other options. You can then choose the best travel site for booking cheap airfare.